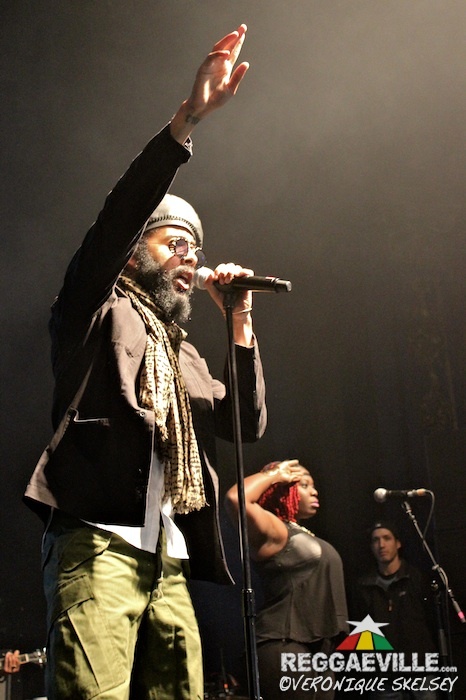 When Protoje performs with his Indiggnation band, every show has the feel of a landmark. Take his Euro debut alongside said Jamaican musicians that effectively signed off Summerjam 2013. Or his jumping-like-a-bag-of-hot-popcorn 2014 date in the U Club. 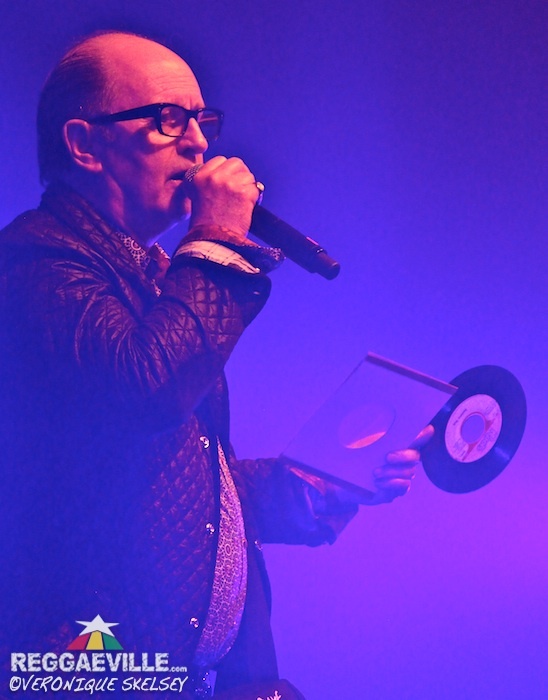 But for his London fans, Friday’s set at David Rodigan's RamJam night at Electric Brixton, co-promoted with sub sonic underground party outfit Basslaced, was a milestone and a half. 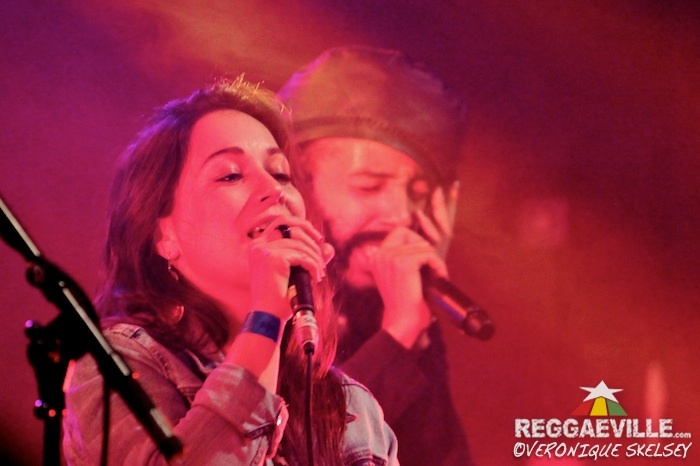 It was Protoje's first full appearance in the notoriously easy-to-flop English capital - inspired by his brief cameo at the venue’s hard-to-follow summer gig by Chronixx. And by contrast, this was not a straight live reggae event. Protoje was the only such act on a club bill of UK bass music sandwiched between Rodigan, the diverse dubbery of Sheffield's Toddla T, and the tough jungle of Congo Natty. Protoje's Billboard topping new album is called Ancient Future: and the ancient and the future were in dialogue throughout. Unlike the Chronixx show most of the audience looked young, affluent and out for a messy good time (although Protoje’s iconic style red, gold and green woolly hats dotted the front rows too). A few elders struggled with the non-reggae elements of Toddla T’s box – which included excellent jungle specials of Kabaka Pyramid’s Well Done and Jah Mason’s Princess Gone - and the youngsters’ exuberant lack of respect for personal space. There was also tension between past and present on the technical side. Mixing desk issues hampered the start of opening selection by Mr Faso and Oxman and delayed singer Kiko Bun’s arrival. Enthusiastic fog machine use left sightlines a little murky. Initially no needles had been provided for the record decks so Rodigan had to buy some minutes on the mic while they were installed. "I don't want to seem patronising" said the bespectacled legend, holding up his vinyl 45s - "but does anyone know what these are?" Soon, though, he was leaping about to Dennis Brown’s It’s My Time and his Cham special Rodigan Story (documenting his own legendary UK/JA clash with Barry G). As per Chronixx, none of the foreign visitor’s catalogue was spun all night. “Tonight is celebration of reggae music old and new… This man doesn't sound like anybody else” announced David at 1.45am, as the Indiggnation began a slow pulsating bass driven undulation. “I've waited for this night. This is a history night”. “BRIXTON-ARE-YOU-READY? THIS-IS-PROTOJE-AND-THE-INDIGGNATION” slurred keyboardist Paris through his vocoder before the band’s hallmark intro to the Munsters Theme via the Ohio Players. Then the frontman was before us, wearing the same Lennon shades as when he bounded on in August and a scarf because the heaving ex-Fridge was freezing cold. Despite the attendees’ youth, London is a history place. So Proto and co deliberately incorporated their historical footnotes. Voices of absent singers from collabs and samples such as Beres, Mortimer and Chronixx were pre-recorded. Anti-politician missive Sudden Flight flowed into Anthony Johnson’s Gunshot, I and I segued into Black Uhuru’s Guess Who’s Coming To Dinner and a lighter illuminated Hail Rastafari became I Love King Selassie. The set-list leant heavily on the new record - no This Is Not A Marijuana Song even though it would have ignited the nonpartisan element – yet was still well chosen. The kids were here for bass music and there is none greater than Danny Bassie's mineshaft drop to Resist Not Evil - counted in by Protoje’s upward thrust hand, clenching, finger-by-finger, into a fist. “Only sing the words if you really feel them” said Oje as if aware that it was this fourth track which took the ravers from simply enjoying to fully committed. Likewise the fleeting lovers section saw Rasta Love usher in duet Really Like You with surprise guest Sara Lugo. Her golden voice was obscured briefly by a blast of feedback but the spot was a pleasant echo of what Chronixx did with Proto last year. He also took time to hail England's Lewis Planter, patient producer of his Prince Buster ska sampling Answer To Your Name. “Now this man right here has done great service to reggae music” was his salute to Mr Rodigan who looked on approvingly for Chronixx collab Who Knows (suddenly all phones filmed the stage simultaneously – fittingly the tune everyone knew). The 90 minute, encore free performance closed with a megaphone wielding Kingston Be Wise - where Proto stopped short of singing the Ini Kamoze original England Be Nice. After all, having heated up an eclectic crowd in a draughty venue and brought the Ancient and the Future together, England was doing very nice indeed.